This verse conveys an inverse proportion. It is clear that when Christ-likeness increases in us, self must decrease. One is always moving up, the other moving down. If self increases, Christ decreases. If self decreases, Christ increases. When self decreases, so do all of my selfish desires and wants. I think of the prayer John Baille writes in A Diary of Private Prayer: “O God, give me grace today to think, not of what I can get, but of what I can give.” This is a picture of self becoming less, of our putting aside our desires to love Christ and serve others, to consume ourselves with giving rather than getting. Likewise, when Christ increases, so does our desire and love for Him. We vigilantly seek His glory, not our own. Our mantra is “Not to us, O LORD, not to us but to your name be the glory…” (Psalm 115:1). When Christ increases, there is a real sense of humility within us and awe of the character of God that reverberates to those around us. 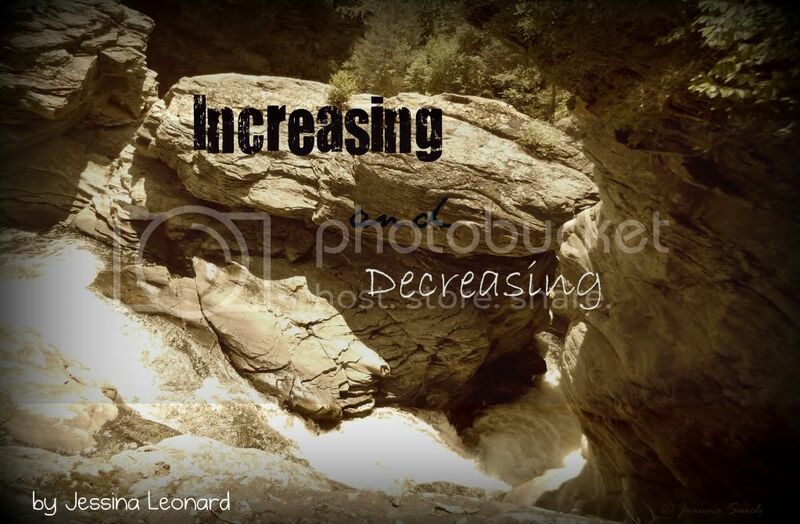 That is how I imagine this inverse relationship between increasing and decreasing. I stumble and I fail—self often increases and Christ decreases. To be honest, I have lately been in a drawback of self increasing, but I am reminded tonight of God’s faithfulness to me—and to you—in this verse—“If we are faithless, he will remain faithful...” (II Timothy 2:13)—and this verse—“If we confess our sins, he is faithful and just and will forgive us our sins and purify us from all unrighteousness” (I John 1:9). And so tonight, I have hope. May Christ increase; may I decrease. Faithfulness- here's that word again! It's something God has been whispering at me everywhere I turn. It was in last Sunday's sermon, it's in every book I pick up. And it's marvelous to know that however failing and faithfless I am, He is faithful, and He'll continue to transform me.